The acts of H.M. King Peter II of Yugoslavia during his period in exile between November 1945 and his death in 1970 are the acts of a sovereign who had been unlawfully deposed by the Communist regime of the usurper Tito and who had never abdicated. King Peter preserved the jus majestatis and all other rights of sovereignty, and was an impeccable fons honorum. As such, he remained a powerful figure who, in a world increasingly turning to republicanism, showed himself willing to support those who dedicated themselves to the furtherance of noble and chivalric aims. Inevitably, this situation meant that a number of groups and individuals petitioned for support of various kinds from the exiled King, and that some of these were successful in gaining his favour. Those who were opposed to those groups or individuals on social or personal grounds, or indeed who opposed the proliferation of nobiliary and chivalric distinctions beyond the narrow circles of which they themselves were members, sought to express this opposition in a number of ways, chiefly by attempting to discredit those of whom they disapproved. Some went further than this, however, and sought to lecture the King upon what he “ought to” do, with such unsolicited advice invariably tempered by the interests and prejudices of the advisor concerned. We may note that the critic Colonel Robert Gayre of Gayre and Nigg, who was head of a recently established private “international commission” on orders of chivalry, was one of those who set themselves against the King’s party during the 1960s. However, when Gayre made representations to the legal adviser of King Peter in protest against the King’s actions, he was informed that, from a Yugoslav point of view, what the King did in these matters was legal, no matter how much outsiders disliked it. (Gayre, The Knightly Twilight, p. 62, 1973). It is this point that supervenes in all that follows below. Not merely were King Peter’s acts in exile legal, his government-in-exile was formally recognised by Spain under Caudillo Francisco Franco and by Mexico, both of which countries refused to recognize the usurper Tito and his Communist regime. The language of this provision makes it clear that it applies solely to Yugoslav citizens. Furthermore, it is equally clear that it does not prevent the King from granting or recognizing titles of nobility and other honours, but simply states that such titles do not grant any special precedence within the country. In practice, the use of titles of nobility in Yugoslavia, though usually deriving from foreign sources, was a common practice during the reign of both King Alexander and King Peter II. That King Alexander did not grant any titles of nobility himself is irrelevant; he certainly bestowed the Royal Yugoslav Orders and other decorations. And those Royal Yugoslav Orders, at least so far as Serbia is concerned, date back at least to 22 May 1865 when Prince Mihailo Obrenović III instituted the Order of the Cross of Takovo. 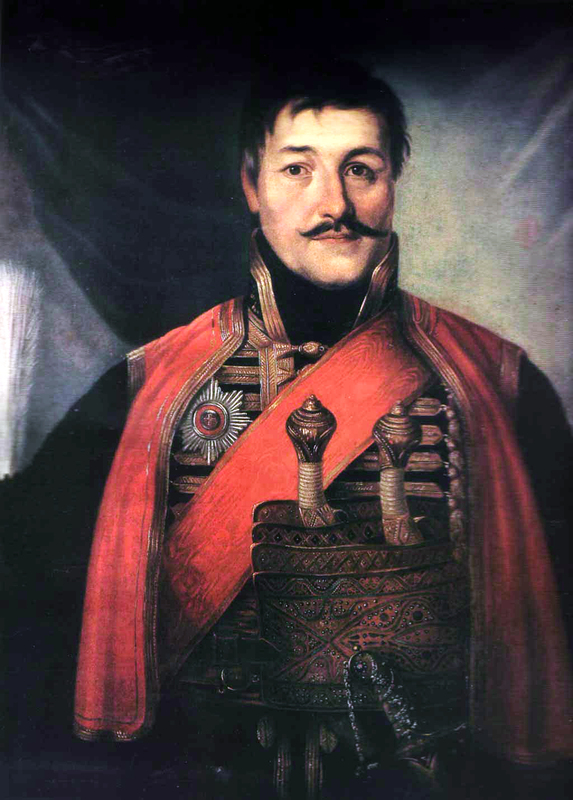 Even before this, the 1816 portrait of Karađorđe Petrović as Grand Vozd of Serbia depicts him wearing a breast star, and other contemporary portraits of Serbian leaders feature chivalric insignia. It should be added that there is also a provision in the same Constitution – Articles 116:1 and 116:2 – that permits the King to rule by decree in emergency situations. This states, in translation, “Article 116:1 – “In case of war, of mobilization, of civil disorder, or of disturbances that might compromise public order and the security of the state, or when, in general, the public interest is threatened, the King may, in these exceptional cases, order by decree the adoption of any exceptional measure which is absolutely necessary, in all the territory of the Kingdom, or only in some one or several of its divisions, independently of constitutional rules and of laws.” Article 116:2 – “All the exceptional measures which are adopted will then be submitted to the National Assembly for ratification.” It is obvious that the position after 29 November 1945 could be considered to invoke this provision. This then brings us to King Peter’s actions in respect of nobiliary and chivalric matters. In respect of titles of nobility, King Peter confined all of his actions to foreign citizens rather than citizens of Yugoslavia, thus avoiding any potential constitutional issues. He was also either concerned with the recognition or rehabilitation of foreign titles that had no prior connexion with Yugoslavia, or with the creation of new Royal Yugoslav titles. This matter is discussed in The Case of the Petrine Peerage by Sir Forest E. Barber, in Chivalry, vol. IV no. 1, no. 13, 2001, pp 55-59, where the author cites some of the grants of letters patent by King Peter that were known to him. We should also note the comment of heraldic authority Carl Alexander von Volborth, writing in regard to King Peter, when he says “Sovereigns may recognize or fail to recognize whatsoever they will, without regard to the views of another sovereign.” (Letter in The Augustan Society Information Bulletin, vol. VIII, no. 3, March 1965, p. 13). Before coming to the United States, the King validated the legal adoption by the last Countess Caboga of a gentleman named Stuber, thus transferring the title of count to the adoptee and ensuring that it did not become extinct. Subsequently, the King raised Commander Stanislav Bozic to the rank of Count of Cilli, and made a further determination of a nobiliary succession the details of which were kept private. To these grants may be added the 1962 patent of recognition of the Prince de San Luigi and the conferral of the title of Marquis de Valjevo upon him, the rehabilitation of the title of Prince Prochniewski in favour of Forest E. Barber (this being a former title of his wife’s family), and the conferral of the titles of Duc de Saint Bar and Baron upon Thomas Shannon Foran, this latter patent likely being backdated to the 1941 date that it bears. In addition, the late Count Robin de la Lanne Mirrlees, who served as aide-de-camp to King Peter, asserted that on 2 March 1967 the King had granted him the title Prince of Incoronata; at the age of eighty in 2005, Mirrlees sent friends, colleagues and associates a letter requesting that he be addressed by this style and apparently enclosing documentary evidence of the King’s concession. He stated that the title had received recognition from the Spanish Royal House and by the Republic of Italy. The titles held by Foran were also recognized by the Spanish heraldic authorities and by others. There may have been further titles that are not included here, but nevertheless the number of titles of nobility conferred or recognized by King Peter was relatively small. By contrast, the number of knighthoods bestowed by the King both in terms of appointments to the Royal Yugoslav Orders and as Knights Bachelor was relatively substantial. Sir George Lenox Wilson III writes that in 1967, King Peter was upset by reading in some contemporary books that the Royal Yugoslavian honours were “inactive” and had therefore been deleted from their works. He felt that “much of the fault lay in the fact that his Orders Chancellery functioned intermittently in the keeping of records and in making recommendations to him concerning the granting of honours” (Royal Association of Knights Bachelors, The Augustan, vol. XIX, no. 1, no. 81, 1977, p. 13). Accordingly, the King entrusted Wilson with reform, which came about with the foundation of the Royal Association of Knights Bachelors in 1969. This association will be discussed in more detail below. King Peter granted Royal Protection to three Orders of Chivalry: to the Order of the Crown of Thorns in 1960, the Templar Order in 1965, and the Order of St John in 1965. In addition, it has been asserted (although we have not seen a copy) that there is a Royal Decree (presumably backdated) of 2 May 1944 that recognizes the Sovereign Constantinian Order of St George (Dynasty of Amorium) and its associated Constantinian University. King Peter had accepted the Grand Cross of the Order of the Crown of Thorns in 1959 and was similarly honoured by the Templar Order under its Grand Prior Forest Barber in 1964. He was present at a Solemn High Mass of the latter Order at the Church of the Ascension, Chicago, on 27 December 1968, and in a private ceremony before this event conferred upon several Templars the dignity of Knight Bachelor of the Kingdom of Yugoslavia. Although not an Order of Chivalry, we should also note that King Peter was admitted to membership in the Baronial Order of the Magna Charta. Regarding the Order of St John, the position is complex. We should start by saying that there are numerous branches of the Order in existence, and that relations between them are often characterized by discord. We note the position of Dr Hendrik Johannes Hoegen Dijkhof that “No Order of St. John can in our view legally and legitimately claim to be a direct descendant of the original Order” (The Legitimacy of Orders of St John, Doctoral thesis, University of Leiden, The Netherlands, 2006, p. 417), and while we hold that this is not necessarily true of those provable descendants of the Russian Commanderies, it is certainly true of the majority of those groups claiming a Johannine descent today. King Peter was appointed as an Associate Bailiff Grand Cross of the Venerable Order of St John of Jerusalem in 1943 (being admitted by H.R.H. the Duke of Gloucester in the Royal Yugoslav Embassy in London); subsequently he became a member of another branch of the Order of St John in the United States which had its headquarters at Shickshinny, Pennsylvania. King Peter was adopted by a group of former members of this branch under Colonel Paul de Granier de Cassagnac as Hereditary Grand Protector on 30 January 1962 and granted them his Charter on 1 October 1963. The Charter notes his wish that other branches of the Order of St John should unite in common cause, an aspiration that was to go unfulfilled amid acrimonious infighting. A Constitution was issued by the King on 19 March 1964. By this time, efforts to reunite branches of the Order that had previously become separated from the Shickshinny parent body were bearing fruit, and a new corporation was formed for this purpose. On 30 January 1965, King Peter was elected as Grand Master by the members of this new corporation. However, Cassagnac did not accept the King’s election and continued to lead a number of followers, principally the French Priory, in opposition to the King’s group. On Cassagnac’s death in 1966, talks ensued with the aim of reconciling these members to the King’s group, but without success. Several successors of the Cassagnac group continue today. King Peter’s election as Grand Master was ratified by Royal Proclamation on 21 June 1965 and he took office three days later. In the ensuing period his group became the largest continuation of the Shickshinny Order and served as a source of unity. However, on 15 February 1967, King Peter dismissed Franklin A. West, President of the OSJ Council. West, who the King claimed was already acting independently, had control of the American Grand Priory corporation and now formed a schism. Talks at reconciliation were frustrated by West’s death in October that year, at which point he was succeeded by Dr Urosh L. Seffer. However, a second continuation group also emerged from the American Grand Priory in January 1968, under Prince Serge Serguiévitch Belosselsky-Belozersky, which sought to be reconciled to the King. On 22 September 1968 the three groups reconciled and King Peter accepted a new Constitution promulgated by the Seffer group. This redesignated him as “Royal Head” instead of Grand Master, and removed him from the government of the Order. The name “The Sovereign Order of Saint John of Jerusalem, the Hospitallers, Knights of Malta” was adopted for the reunited entity, but in late September, in response to Roman Catholic objections, the word “Sovereign” was dropped from the title. During the period 1964-70, according to Forest E. Barber, some 598 men and women were admitted to King Peter’s Order of St John. According to his son, Crown Prince Alexander, King Peter withdrew his Royal Protection from the Order of St John in May 1970 (Dijkhof, p. 257). On 21 July 1970, King Peter issued Letters Patent that created a new “Royal Yugoslavian” Hospitaller Order of St John and thereby instituted a purely dynastic Order that was intended to replace the previous organization. This action was at least in part the result of protests by Colonel Gayre, who was strongly opposed to the Shickshinny Order and objected to the prior actions of the King that had elevated it to recognized status. This fundamental and controversial change had the unfortunate if hardly unsurprising effect of destabilising the Order once more. It held together for a few months after the death of the King on 3 November 1970 but on 17 March 1971 split into two factions, which have since fragmented further. One of the resulting groups appointed the late H.R.H. Prince Andrej of Yugoslavia, younger brother of King Peter, as High Protector and subsequently Grand Master, and the largest continuation of this group has since enjoyed the patronage of Prince Andrej’s sons, the late Prince Christopher and Prince Karl Vladimir of Yugoslavia, the latter of whom has accepted its Grand Mastership. In January and February of 1965, King Peter visited the United States. In advance of his visit, he sought advice from the Department of State concerning the conferral of knighthood upon United States citizens. The Department of State had no objection, and accordingly he admitted a number of men and women to the Order of St John on this visit. Subsequently he made appointments to the Royal Yugoslav Orders: the White Eagle, the Crown of Yugoslavia and St Sava. In addition, King Peter instituted the Royal Yugoslav Commemorative War Cross by Proclamation of 8 May 1965, and this continued to be awarded after his death under the auspices of the late Colonel H. Harding Isaacson, who had received the King’s authority to do so in 1966. King Peter made several grants of arms, including to George Lenox Wilson III (with supporters), and to George P. Picton Teasdale and Seth Teasdale. On 1 July 1970, King Peter extended his Patronage to a new body entitled the Friends of the Crown of Yugoslavia. Later that year, this organization advertised for members worldwide, and announced the publication of a Handbook and the first issue of a quarterly Bulletin. Despite the birthday wishes to Crown Prince Alexander that were extended in its announcement, it appears not to have survived amid the changes that followed the death of the King. On 7 August 1970, King Peter issued a Royal Proclamation establishing the Royal Yugoslavian Supranational Commission of Chivalry, which provided an alternative to the International Commission on Orders of Chivalry under Colonel Gayre. The seven inaugural knights who were members of this body had previously formed themselves into a Supranational College of Chivalry; they were resident in the United States, Canada and England respectively. The President General was Dr Robert W.Y. Formhals, Prince Sangiuzsko. 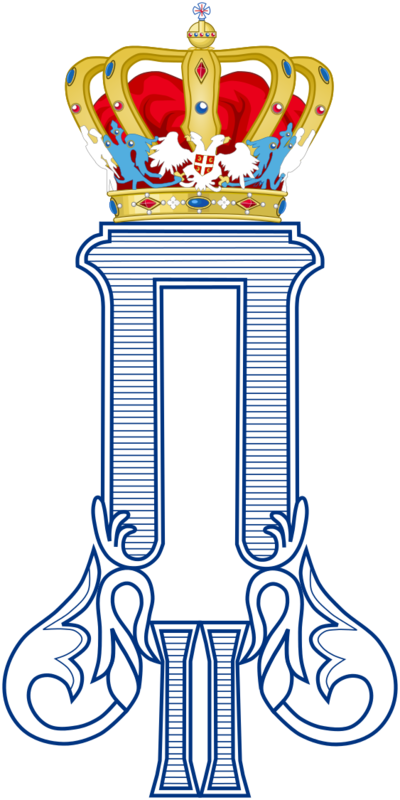 As stated above, the Royal Yugoslav Order of Knights Bachelor came about as a means of setting in place an effective Chancellery for the Royal Yugoslav Orders under the direction of Sir George Lenox Wilson III. This would provide a registry for knighthoods, decorations and matriculations of arms; it would issue diplomas, brevets, commissions and awards of honour at the direction of the King, and would grant achievements of arms. It was further charged with the preparation of a history of the House of Karageorgevich and a history of the Royal decorations. On 20 July 1969, at his residence in Milwaukee, the King issued the Royal Proclamation and Statutes creating the Order. The purpose of the Order was given as the opposition of atheism and Godlessness. Hereditary Knights Bachelor were permitted to augment their arms with the Serbian Eagle, argent, displayed on a shield or canton, gules. The King confirmed in the Statutes his earlier command of 30 June 1969 that “It is my desire, as Royal Protector of the Royal Association of Knights Bachelor, that all Knights of our Membership use the title Sir before their names…” This provision was unusual, but fully justified and indeed logical. As Colonel Gayre would write in his Some Aspects of British and Continental Heraldry, “The British practice (backed by a Court regulation from the nineteenth century of very dubious legality) of refusing their distinctions of rank to non-British Knights has no place in a study of this kind. A man is a Knight or is not a Knight, and the Almighty has not given some peculiar prerogative to the British Monarch to create Sir Knights, who belong to a higher species of chivalry than all other knights, not excepting those of great, or even more ancient, Orders such as the Golden Fleece, Constantine St George, the Teutonic or St Lazarus and so on. In fact, it is surprising that the British dynasty should have arrogated to itself such a pseudo-superiority in the face of European chivalric practice, when it is remembered that George the Fourth languished for, and ultimately purloined the Golden Fleece…” (Introduction). The Royal Association endeavoured to collect together all known appointments by the King of Knights Bachelor, a number of which had predated the foundation of the Royal Association in 1969, but its eventual listing of some thirty-five was incomplete, and Sir Rodney Hartwell, one of their number, acknowledged as much in his Director’s Note to the article by Sir Forest E. Barber, When is a Knight not a Knight? (International Chivalric Institute Members’ Newsletter, no. 31, March 2002, p. 469). One point that had confused the issue was that membership in the Association was available to individuals who were not themselves knights bachelor, giving rise to the erroneous belief that simply joining the Association made one a knight. Another matter that arose was that several of the Knights Bachelor who had received the accolade from King Peter then dubbed other knights in turn, citing historical precedent whereby a knight bachelor could create another knight, and Dr Formhals’ statement that the King’s intention to create a much larger body of knights had been frustrated by his untimely death. In 1995, Sir Rodney Hartwell formed the Association of Knights Bachelor, which body included this second class of knights. He drew the important distinction that only the King could create Knights Bachelor of the Kingdom of Yugoslavia. Those who were created by other knights rather than by the King were simply knights bachelor and were not “of the Kingdom of Yugoslavia”. Meanwhile, earlier in the 1990s a body independent from Hartwell’s Association called the Council of Jugoslavian Knights operated from Alabama; the twelve members of the Council of this body all asserted that they were Knights Bachelor of the Kingdom of Yugoslavia, and yet one of those named was only thirteen years old at the time of the death of the King. One of the last surviving original Knights Bachelor of the Kingdom of Yugoslavia was the late Most Revd. Prince Kermit of Miensk, our Royal Patron, who was personally acquainted with King Peter and received the accolade from him in 1967.